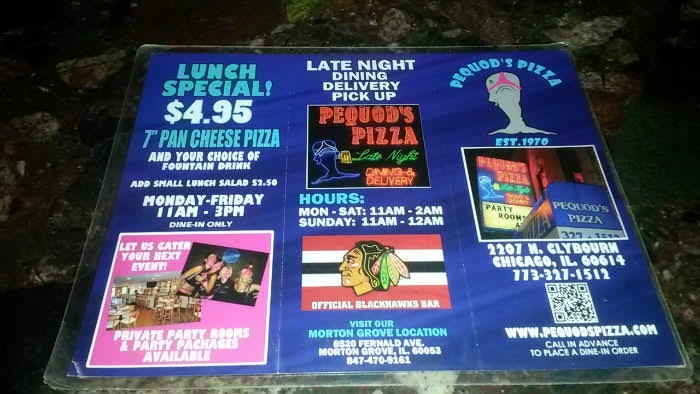 Pequod's Pizza has two locations in Illinois. 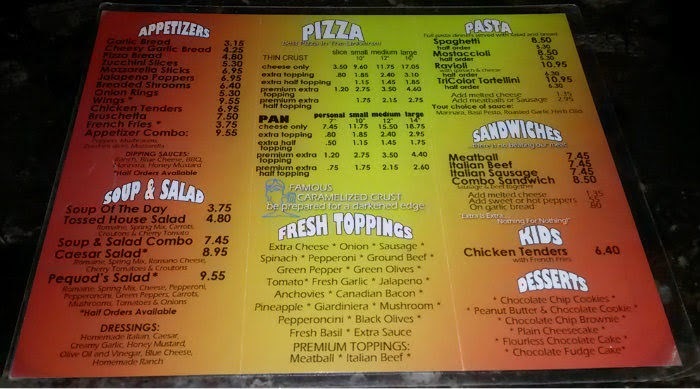 This blog post covers the spot in N Clybourn Avenue (Lincoln Park neighborhood) in Chicago. 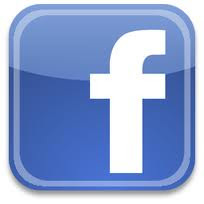 The original location appears to be the Morton Grove spot on Fernald Avenue, which dates back to 1970. 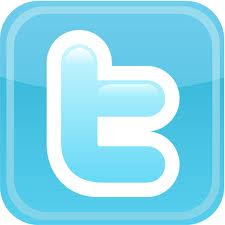 The founder, Burt Katz, sold Pequod's in 1986. The Lincoln Park spot (Chicago) opened in 1992. 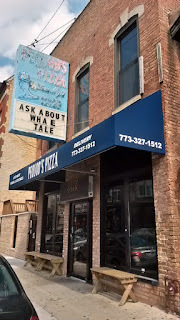 The Chicago location then had a fire in 2006, which closed the place for nearly five months. 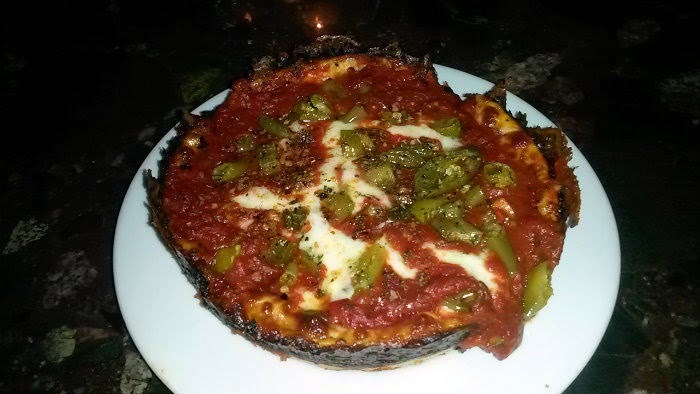 As shown on Man v. Food's second Chicago episode (the season with Casey Webb), Pequod's is known for their take on deep dish pizza. 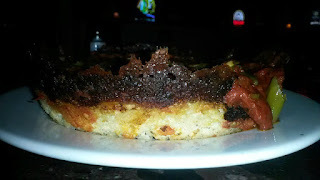 Instead of having the crust rise up along the side of the pan, they put a layer of mozzarella cheese that hugs the side of the pan, giving it a unique, dark golden-brown cheesy experience. Caramelized crust, as some people say. 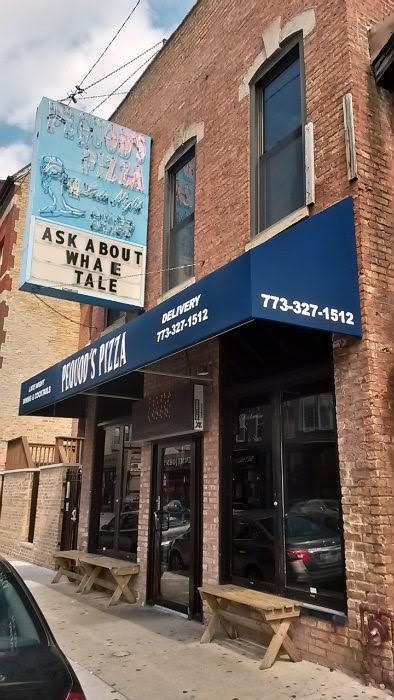 Pequod's opened around 11 AM on a Sunday. Even at close to peak lunch hour, I grabbed at seat at the bar again with no wait time. Luckily again for me, Pequod's serves up personal-size pies in addition to larger options. 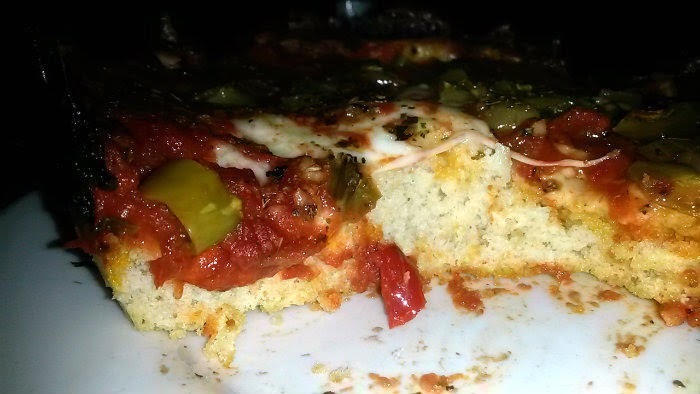 Each topping costs extra, so I went with the usual personal-size cheese deep-dish pizza with giardiniera on top. Giardiniera is an Italian relish of pickled veggies that can have a little spice to them depending on what is used, and is quite popular around Chicago. It can be a mix of veggies or one type of vegetable; it can be on the milder side or very spicy. 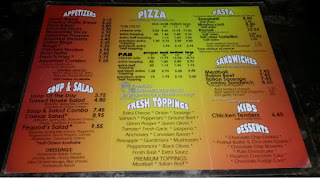 The pizza here was probably around 6 to 7 inches in diameter, complete with the dark golden-brown cheese on the rim. I've never had giardiniera on a pizza, and I really enjoyed the pickled veggies here. Mild heat. The sauce here had more of an Italian herb blast than the one at Lou Malnati's, which I think is a good thing. Lou's, in my book, wins on the crust. I really like the buttery crust from Lou's, while at Pequod's it tended to either be a bit thicker or otherwise interfere with the enjoyment of the toppings/cheese. Both have that great, firm chewiness though that can be equated with freshly cooked pizzas. 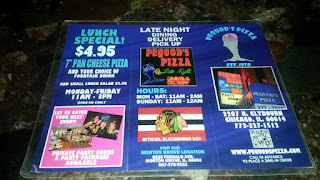 It's Pequod's for the cheese. Both use a layer of mozzarella, both are gooey at the start and congeal slightly later (in a good way) for the final bites or slices. The caramelized crust, also crispy at the top, all but broke the tie. While I could have gone with sausage here just to make it more of an equal comparison, I picked the giardiniera mainly because I would see it more around Chicago than Portland. I loved Lou's layer of sausage, but I can't pass up that giardiniera. 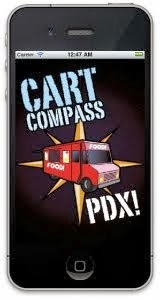 It also took far less time, maybe around the 25-minute mark, to get my pizza here. Apparently, it's a lot wiser to call in your order beforehand (if the place allows it) and then arrive, be seated, and not need to wait as long. Great service at Pequod's. I could have gotten a beer here too, but I opted to quench my thirst at a brewery instead.